A spokesperson for the Larimer County sheriff's office says police have received information regarding possible criminal activity involving the Shambhala Mountain Center in Red Feather Lakes, Colo.
Michael Gayner, director of the centre, says it has offered its support to the sheriff's office if a formal investigation is launched. Halifax police spokesperson John MacLeod says the force has not received any reports of criminal activity involving Shambhala in Halifax, and says an incident would have to be reported before police would launch an investigation. 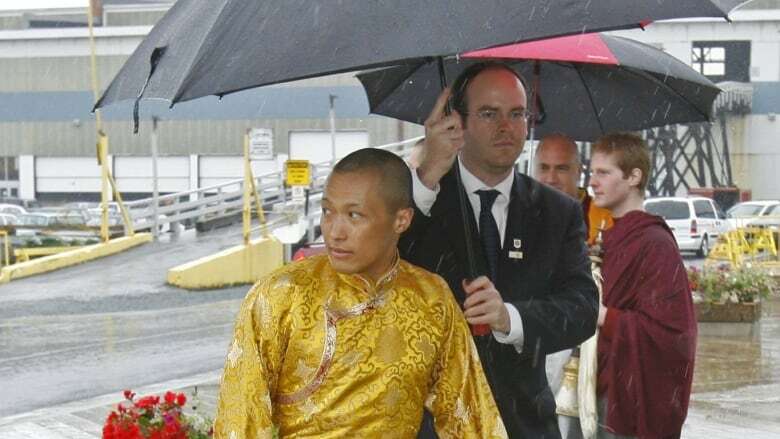 Shambhala International — one of the largest Buddhist movements in the western world — has come under intense scrutiny in recent months after a former member published reports from women accusing the organization's spiritual leader of sexual harm. In July, Mipham apologized for the "pain, confusion and anger" sweeping through the Shambhala community. But Michael Scott, a lawyer for the spiritual leader, made it clear his apology was not an admission of guilt and that "the Sakyong categorically denies assaulting anyone, sexually or otherwise." David Moore, public information officer for the Larimer County Sheriff's Office, said investigators are looking into possible criminal activity involving Shambhala after receiving information, but are unable to provide details about the case. Gayner says he's committed to transparency and ensuring the Shambhala Mountain Center remains a safe and nurturing space. "We are and will always be committed to transparency and full co-operation in any investigation," he said, adding "we have no information about the specifics of this examination."